Blue Force Gear is all about innovation and creating something new. Their products have a unique style and the 10-Speed Chest Rig does just that! 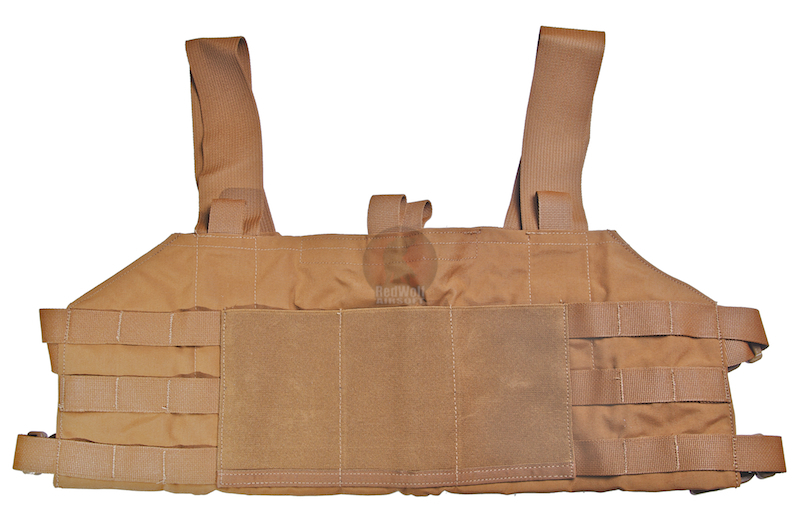 There are 3 different styles as the chest rig either comes with already attached M4, SR25 or MP7 magazines in either Multicam styling or a Coyote Brown colour. It is designed as an ultralight fighting load for holding either 4 M4, 3 SR25, 5 MP7 or similar sized magazines with 3 x 3 MOLLE fields on either side for mounting Trauma Kit NOW!, pistol mag pouches, utility pouches, or any other MOLLE compatible pouches. The 4 Ten-Speed M4 or 3 Ten-Speed SR25 mag pouches can fit smoke grenades, flash bangs, GPS units, dressings, tourniquets, small radios, cans of dip, and similar sized rifle or SMG mags if you don't actually use an M4 yourself. The chest rig itself is fully adjustable and can be worn over armor or under a concealment garment depending on the mission at hand. There are connecting strap in the rear acts as an emergency drag handle and has loop field for ID / IFF or any other patches you wish to attach. There is also a 18?x6? inside hook and loop fastened pocket where you could attach any maps or documents you have on you. The Chest Rig itself is incredibly lightweight and will only feel the weight once you slot those magazines into those pouches. Blue Force is meant for real world applications but it could easily be used for airsoft!